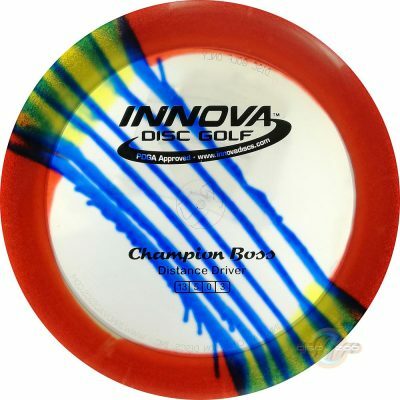 This is a fast stable driver that can handle full power throws and moderate headwinds. Advanced players and sidearm throwers will appreciate the dependable stability. The Boss has a slight high speed turn to help maximize distance with a predictable fade. David Wiggins Jr used a 154 gram R-Pro Boss to set the World Record 338 M (1108.92 feet) for the longest throw in March 2016. The Champion Boss flight numbers have been updated to better reflect the more stable flight.